This is going to be a short post because Outrun’s development just reached a major milestone. Instead of me yakking on, let me give you a copy of the game so that you can take it for a test drive. Outrun Cover concept. Photo by Connor Botts. Outrun is a solo table-top RPG I’m developing as part of the A Game by its Cover game jam, happening through August. It’s inspired by the Rushing Drive Famicom cartridge cover by Philip Summers (on Instagram). I’ll be posting updates twice a week, right here, so stick around and see the game come to life. You can find our other devlogs here: Devlog 1, Devlog 2, Devlog 3, and Devlog 4. Throughout these devlogs I’ve looked at iterations of the game, each building on what came before. Heck, you might even think there were two very different games being built. This morning I put everything together and gave it a test drive, now you can too. Of course, we’ve still got a way to go, and there could well be bugs, but let’s call this the alpha playtest. The playtest includes the very basic game, without the music and RPG component, which will all come later — once the core mechanics are working perfectly. Download the rules (link’s at the bottom), read it, play it, then give me your creative feedback at itch.io/t/268449/outrun-this-thread or in the comments below. Giving me feedback helps me evaluate the game and polish it up, but it will also earn you a playtest credit in the final version of the book. It’s really helpful if you can tell me if any rules are hard to understand by pointing them out to me. Enough Already, Give Me the Book! Extra Credits has this great video about making a Minimum Viable Product (video embedded at the bottom of this post). Basically, you build the simplest version of your game possible, before getting into all the features that aren’t vital to your game. Outrun is a solo table-top RPG I’m developing as part of the A Game by its Cover game jam, happening through August. It’s inspired by the Rushing Drive Famicom cartridge cover by Philip Summers (on Instagram). I’ll be posting updates twice a week, right here, so stick around and see the game come to life. You can find our other devlogs here: Devlog 1, Devlog 2, and Devlog 3. I caught myself designing POD cards for Outrun before I’d nailed down the core mechanics. What a waste of time that’ll be if my core game changes and I need to update the cards. 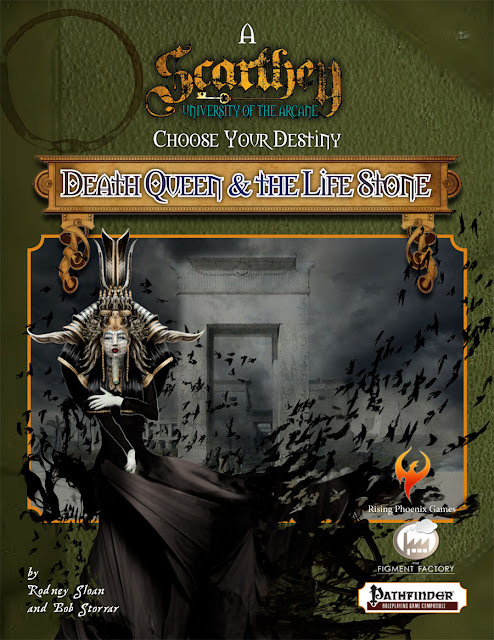 A challenging solitaire game involving choice, with a low level of randomness. Use a standard deck of 52 playing cards. These represent gas in your fuel tank. Shuffle the cards well, then place them in front of you, face down. Draw a card face up from the top of the deck. If you draw a red card (Hearts or Diamonds), stop drawing. If you draw a black card (Clubs or Spades), draw again until you have 3 cards face up in front of you or until you’ve drawn a red card. You can take 1 even card and place it to the side. Queens count as 12, so they’re even. Each even card represents 1 hour of driving, and your goal is to drive for 24 hours by collecting all 24 even cards. Place the other cards, if any, in your discard pile. Repeat the process of drawing cards and taking an even card, if any show up. If your deck runs out of cards, you’ve run out of gas and you lose the game. Refueling: If you take a Queen from the cards in front of you, you can immediately shuffle the remaining face-up cards and your discard pile into your deck. The Pale Rider: The King of Clubs is the Pale Rider. Whenever you draw him, discard 2 cards from the top of your deck into your discard pile. Shuffle the Pale Rider back into your deck. You may then take an even card if any remain face up in front of you. If the Pale Rider is the last card to be drawn from the deck, you lose the game. All the lazerpunk goodness builds on top of this minimum viable product. Give it a go and tell me what you thought. I’ve thrown around a few definitions in my earlier Devlogs, but here’s one worth defining clearly. Lazerpunk: Cyberpunk with an 80’s retro aesthetic. Outrun’s look is what I call lazerpunk — cyberpunk with an 80’s retro feel. It’s Hotline Miami and Satellite Reign smashed into one. 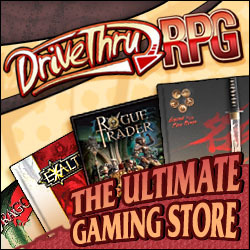 We’ve got a huge Pathfinder Roleplaying Game compatible sale on. The sale’s going for a few weeks, then it’s gone. Till next time, live awesomely. Making games is awesome, but keeping your projects funded and in the black is just as important as having fun. Today I’ll look at some of the ways we’re funding Outrun. I’ll also look at sourcing and creating cheap assets. Outrun is a solo table-top RPG I’m developing as part of the A Game by its Cover game jam, happening through August. It’s inspired by the Rushing Drive Famicom cartridge cover by Philip Summers (on Instagram). I’ll be posting updates twice a week, right here, so stick around and see the game come to life. A load of playtesting’s done and written up, so the core mechanics are in. Next, I’ll be focusing on additional mechanics and fluff. The bones are there and just need fleshing out. Games assets got some love over the weekend, so let’s take a look at those. Great art draws you into a game. It’s also the one aspect of game design that hobbyists frequently get wrong, not through bad art, but through poor design. Design is about unity and the thoughtful application of elements within the product. I’m starting to get technical, but my point is that, by applying design principles, you can turn a collection of assets into one unified whole. I’m always scouring the Internet for useful assets, so I already have a library to pull from. For the rest, I make whatever I need or find an artist. For Outrun, I’ve done 12 different page backgrounds. Here are two of my favorites so far. I’ll be offering these page boarders off Drive Thru RPG, as a way of funding Outrun. The rest of the book will be filled with emotive photos that bring the world of Outrun to life, similar to what I did with How to Plan a Murder — one of my best layout jobs yet, IMHO. I’ll create my own design elements to fill in the gaps. I spent a lot of time researching the look and feel I want for outrun, so now it’s just a matter of making everything. Yay, Photoshop! My beautiful wife will bring her design talent to Outrun’s logo and cover, but you’ll have to wait and see. There’s a chance that the cover will be heavily inspired by Philip Summers’ design, below, but adapted to an RPG book format. Wouldn’t it be awesome, though, if the PDF was formatted to look like a TV screen running a Famicom game? I think buyers might want to fling their keyboards at me for that one, but I like interesting ideas. If you like what you’ve seen please consider checking out our other RPG products. If you like something in our catalog, the team and I will always appreciate making a sale, and the money keeps us going. By the way, we’ve got a 30% Off sale on all our Pathfinder Roleplaying Game compatible products, starting tomorrow, in celebration of the Pathfinder 2 Playtest that just kicked off. I’m sharing our progress here, but the conversation is happening at our dedicated progress thread at itch.io. Come along and say hi, or leave a comment here. Comments are moderated, so your comment won’t go up until a mod has had a chance to approve it (we get a LOT of spam). Driving beats and hand brake turns, it’s time to put the pedal to the metal! Last time I talked about driving mechanics, but there are two parts to it — distance driving and skill driving. Distance driving uses the rules I mentioned in the last post and covers the exploration part of the game. Skill driving is all about shifting gears, hand brake turns, and gunning the engine. The rules were inspired by Tokyo Drift Racers, a 200 word game by Martin Killmann. Disclaimer: These rules are in development and very likely to change. I’m sharing them so you can give them a try and tell me what you think. You start with a pack of regular playing cards and 6d6. Shuffle and draw ten cards, face down, to make your challenge deck. Take 2d6 to make your starting dice pool. An extra dice or note paper is useful for tracking damage. Before a card is revealed you can shift gear, adding or removing 1 die from your pool. Reveal a card from the top of the deck. Gear shift up or down 1 die (remove or add a die). You can hand brake turn to remove 1 or 2 dice from your pool after you’ve rolled. These dice don’t come back magically, you have to add them back to your pool by gear shifting up again (step 1 and 3). You use your brake to subtract 1 or 2 from the total value of the remaining dice pool. The difference between your target score and the final result is damage to your car. Your car can take a total of 6 points of damage, anything over that wrecks it. Rinse and repeat for each card in the deck. Give it a try. A few plays should lead you to a winning strategy. Is music a key part of your play sessions? Shouldn’t it be? In my last post I promised to fill you in on Outrun’s secret sauce. Nightrun and outrun retro wave music captures the heart and soul of Outrun. It’s in the friggin’ name! But what’s outrun anyway? Time to get your laserpunk on! There are a few musical RPGs out there, but not many that include music as part of the game’s mechanics. Ribbon Drive uses mixed tapes to direct the narrative flow and Waxing Lyrical uses song lyrics for the basis of character creation and world building. So how else can you use music as part of a game’s mechanics? Tracks have a variable length, differing beats, and moods. Outrun turns that into a core mechanic that makes up for the lack of a GM with driving beats. More on this, later down the line. Want to know a little more about the #AGBIC jam? Here’s a great video that tells all. Outrun is a solo table-top RPG inspired by Rushing Drive, a cartridge cover for a fictional Famicom game, created by Philip Summers (on Instagram). I’m developing Outrun as part of the A Game by its Cover game jam, happening through August. I’ll be posting updates twice a week, right here, so stick around and see the game come to life. Outrun is a blend of stuff I love: night run synth music, cyberpunk, fast cars, solo gaming, retro aesthetics, mutants, and post-apocalyptic wastelands. I’ve been kicking ideas around for this game since November 2017, and it’s finally starting to come together. Thanks, game jam deadline! So it’s a game about driving, and it’s solo, and it’s an RPG. Outrun is all about the driving — think Drive and Baby Driver. Because it’s solo, a lot of the adventure has to come from the mechanics or the fluff supporting the mechanics. Junk’d, a hot new game by Runehammer Games, has some great mechanics for simulating road-rage induced highway combat, and is perfect for a board game. Outrun’s “road” needs to be just as tight, but with plenty of adventure, choice, and replayability packed in. Outrun uses a deck of cards, with each card keyed to a specific encounter. To drive, roll a d3, which tells you the number of cards to draw. Each card has two entries: what you see up ahead and what you find when you get there. You get to choose which locations to drive through, and your aim is to beat the deck in a number of turns — before the sun sets. Why do you need to beat the sun? It has something to do with vampires. Mutant vampires. Because, of course, vampires. If you want to make RPGs, you have to make RPGs that really spark. We’re lucky to have a great line of products that have sold well, but Outrun is all about pushing the game design envelope. I’ll talk more about Outrun’s secret sauce in future posts, stay tuned. Santa has a man on the inside, and it’s your job to coordinate his mission. A day or so after your Christmas tree goes up, he’ll deploy in the field, and just before it’s time to clean away the decorations, he’ll return to base with his valuable intel. I use a 12 inch action figure or, for smaller trees, plastic ninjas, like those plastic army men. One night, just after your tree goes up, and while the rest of the house is asleep, sneak over to the tree and hide your operative inside. The goal is for him to remain unseen, so hide him well. You win the game if you safely extract the operative before all the decorations get packed away and no one has spotted him. “Daddy, daddy, there’s a ninja in the tree!” Sorry bud, you lose. Up the difficulty by hiding your operatives gear inside Christmas tree decorations. Do this some time after deployment and be sure to remove it when you extract your operative. Do you have any games you play over the holidays? Let us know in the comments below.